This half-hour comedy focuses on the bizarre experiences of fresh-faced medical intern John "J.D." 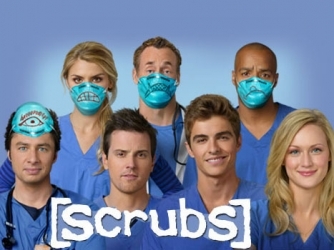 Dorian (Zach Braff) as he embarks on his healing career in a surreal hospital crammed full of unpredictable staffers and patients – where humor and tragedy can merge paths at any time. When Turk isn’t saving a 12-year-old boy on the operating table, he’s acting like one in the hospital hallways. 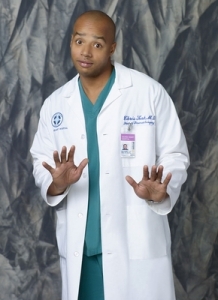 Now Chief of Surgery, Turk’s prowess in the O.R. is matched only by his passion for eating pork chops, singing in falsetto, and bro-ing it out with J.D. And as a med school professor, Turk is a student favorite because his lively lectures make up for the all those dead bodies in anatomy lab.